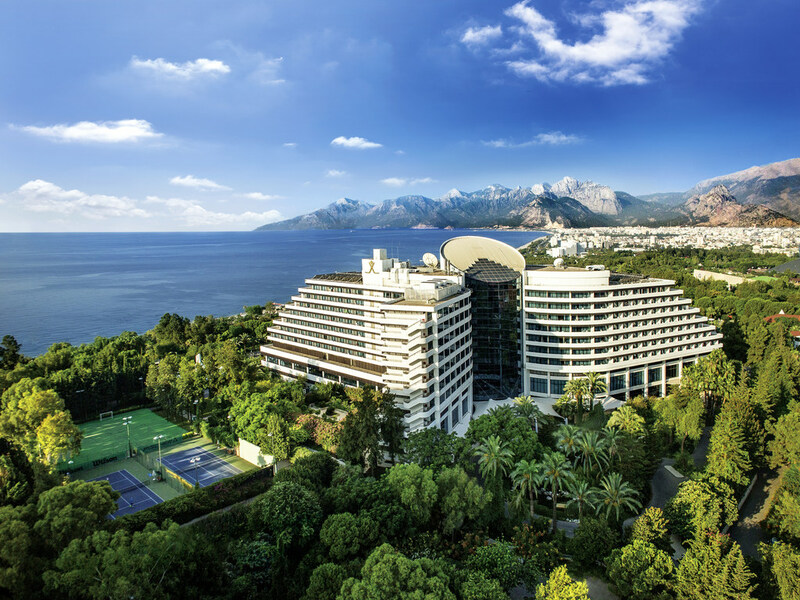 Our luxurious newly renovated hotel located on the famous Konyaalti Beach over the cliffs with an unsurpassed view of the Mediterranean Sea and Toros Mountains. It is a unique city hotel with well kept spacious garden, tropical pool and resort hotel facilities. Tropic À la Carte Restaurant will serve you special snacks from Turkish cuisine as well as international dishes in your lounge chair. You will enjoy the swimming pool even more in the restaurant's vivid and colourful decor and atmosphere. Panoramic Restaurant serves a rich open buffet of international cuisines for breakfast, lunch and dinner. It will be your favourite for its elegance and superior service. With a comfortable interior and a panoramic terrace, Rixos Lounge A la Carte Restaurant serves delicious foods from modern world cuisines. Rixos Lounge satisfies guests with its international food and wine menus. A golden opportunity to get rid of the daily stress. Relax your soul at Rixos Royal Spa and keep your body fit with freshly squeezed fruit juices. Beverages including tropical fruit juices, shakes, alcoholic and non-alcoholic cocktails, refreshing frozen drinks that will make your day more colourful are awaiting you at Tropic Bar by the pool. Rixos Downtown Antalya's Lobby Bar offers distinguished tea and coffee selections to its guests... Hand-made chocolates, mini macaroon rolls, cheesecakes, warm snacks and mini sandwiches for 'High Tea' prepared by the chef. With its modern and comfortable indoor space and panoramic terrace, Rixos Lounge hosts dinner meetings and friendly chats. Its international food and wine selection will add colour to your evenings at Rixos Downtown Antalya.